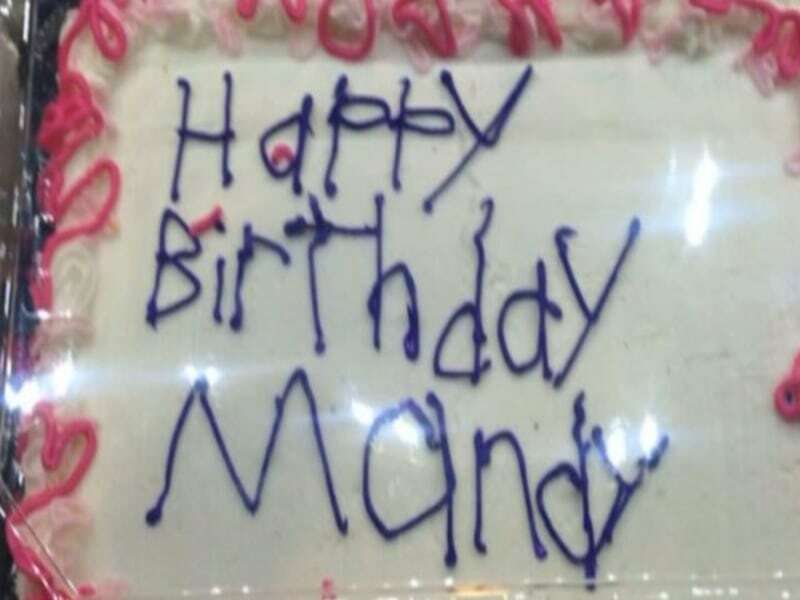 A Michigan woman's photo of a birthday cake is going viral after she shared her sweet encounter with the autistic bakery employee who decorated it with a personal touch. 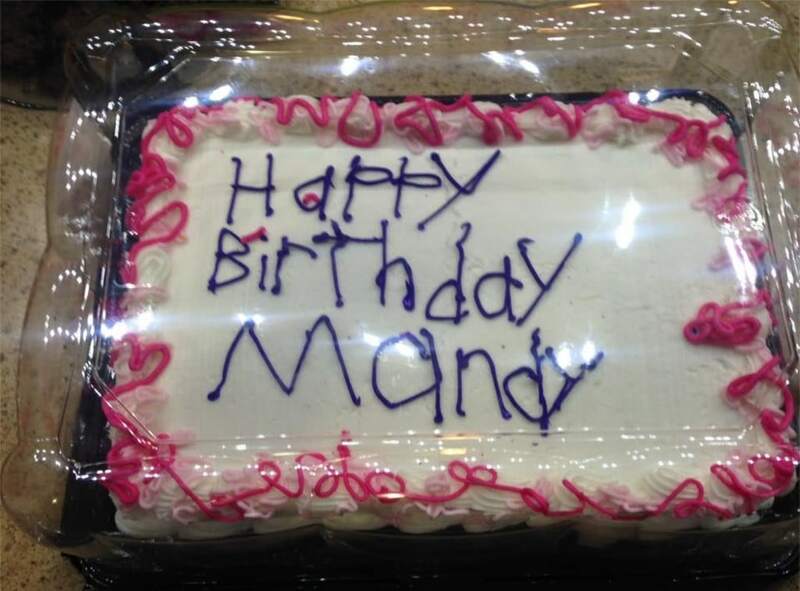 Lisa Sarber Aldrich of Grand Rapids wrote on Facebook that she went to a Meijer grocery store to pick out a cake when she asked a "bakery-looking employee" to write a message for her. 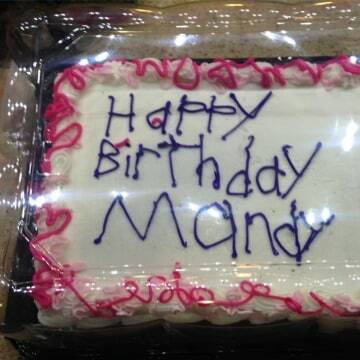 The employee took a while to return, and once she did, Aldrich realized it wasn’t the "happy birthday" decoration she expected. “I looked her in the eye and said thank you before I even looked at the cake. After looking, I nervously laughed and headed to check out — it didn't really matter to me that it looked so bad — I thought people would think it was funny,” Aldrich said on Facebook. Cashiers and managers came over to look at the cake when Aldrich went to pay. A cashier told her the employee has autism. “To my surprise, after they discussed it, one cashier put her arm on my shoulder and said, ‘The girl who wrote that has autism. Thank you for smiling and thanking her — even though she's not supposed to write on cakes, you probably made her day,'" Aldrich wrote. Aldrich's post has been shared over 93,000 times on Facebook. She says she is surprised by how much attention her story has received. Meijer spokesman Frank Guglielmi confirmed the details of Aldrich’s story to NBC News, and said the grocery chain is proud to have staff that includes people with disabilities.